Lexus IS200 chrome climate control knob trims x3. Chrome trim rings only supplied. Simply push into place over the existing control dials. Good used condition. Dispatched with Royal Mail Signed For 2nd Class. Material: Leather. 6 speed Shifter. GENUINE LEXUS IS 200 98-05.CHROME GEAR KNOB - SHIFTER. 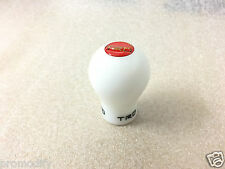 TRD Universal Leather Use Manual Gear Knob, TRD Racing Gear Shifting Knob. Professtional for racing,ensure drive safety and stability. Size :12 mm x 1.25. Will Easily fit the majority of Lexus models with Manual Transmission M12x1.25 thread pitch. LEXUS MANUAL TRANSMISSION M12X1.25 JCE10: IS 300 / IS 300 SportCross;. GSE20: IS 250 / IS 250 C. GXE10: IS 200 / IS 200 SportCross;. TRD Universal Use Automatic/Manual Gear Knob, TRD Racing Gear Shifting Knob. Professional for racing, ensure drive safety and stability. Tighten small screw on the hexagonal, then tighten the aluminum cap can be. Note: This shift knob only fits for circular gear lever. 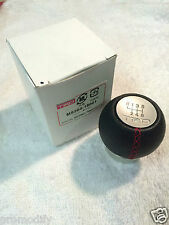 Directly replace of original shift knob, no modification needed. Black leather with Black stitch or Red Stitch. LX, LS, IS, ES, GS, RX. CAR INTERIORS AND SEATS. LEATHER RESTORATION BALM are not formulated to change the colour of the leather but are intended to enhance the original colour. - It's easy use joined to the excellent spreading, improves the look of the grain, giving a very fine, natural glossy to the leather with a silky touch. 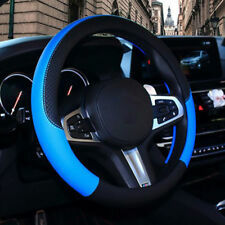 Foam Padded Steering Wheel Cover. Black & grey design. Simply stretches over existing steering wheel. Tight fit - once on it does not move around. Universal 6 Speed Car Manual Transmission Gear Shift Knob Skull Shifter Lever. 1X shift knob. These sleeves are tightly fitted in place with hidden grub screws. We will try our best to reduce the risk of the custom duties. Black Genuine Leather Car Neck Cushions. Genuine Leather with a checkboard perforated finish featuring White contrast stitching. Black Thread x1. Steering Wheel Cover x 1. Features : soft, clean, pore exquisite and comfortable handle. Color: Black. Total Length: approx. Have a 1 to 5 year warranty program. LX, LS, IS, ES, GS, RX. CARS INTERIORS AND SEATS. Use it to repair car interiors and seats, motorcycle leathers. LEATHER EXTRA STRONG GLUE AND FILLER. Leather glue – 15ml. Use your fingers to carefully spread the hole open. Manufacturer's Part Number: C826(L). Lockwood car dials, speedos & gauges have an international reputation for style and quality. Lockwood Dial Conversion Kits (Km/H to MPH / MPH to Km/h). Application: Lexus RX400H. Want to start your car engine by using a button?. 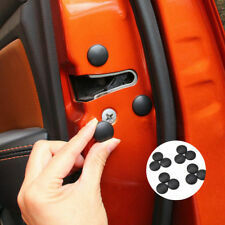 then this simple Engine Push Start Button kit is ideal for you. Turborevs engine push start is simple, subtle and sleek in its own way, its similar to the newer cars. Contains 4 scuff plates (front LHS & RHS illuminated and Rear LHS & RHS Non illuminated) wiring harness and fixation material. If there is any problem occurring we will let you know as soon as reasonably possible. 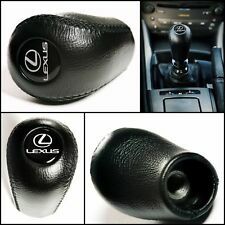 Lexus IS200 solid Wooden gear knob. It's a beautiful solid gloss wooden colour not like genuine lexus is200 ugly gear stick. The picture of the knob doesn't show the real colour of it. FITS LEXUS IS200 IS220 IS250 06-12. And what you will receive is only the leather part. black leather with white stitching. Box contains: 1 x gear gaiter 1 x handbrake gaiter. Stitching Colour: Grey. LEXUS IS (2005-2013). We specialize in customisation of car interior but also in creating unique and personalized products made of genuine leather or suede material. FITS LEXUS IS200 MK1 1998-2005 MANUAL. IS200/IS300 2005 -2013 Mk2 (XE20). LEXUS IS200/IS300 Complete Interior. 2006 LEXUS IS200/IS300 which we are dismantling. Drive side RHD. Engine size cc. HS1-9, IV40-51, IV55-56, KA27, KW15-17, PA20, PA41-49, PA60-78, PH42-44, ZE1-3. FITS LEXUS CT 200H 2010-2016. And what you will receive is only the leather part. 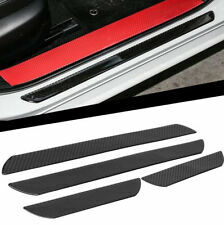 FITS LEXUS IS200 IS220 2006-2012. very easy to fit it has Velcro in the back for easy fitting. Manufacturer's Part Number: C690. Lockwood car dials, speedos & gauges have an international reputation for style and quality. Lockwood Dial Conversion Kits (Km/H to MPH / MPH to Km/h). Dial Face Colour: Black. Here you can buy Genuine Lexus Parts, Accessories and Consumables for your Lexus. No-one understands your Lexus better than us. You should not rely on the information to make any decision or take any action. If there is any problem occurring we will let you know as soon as reasonably possible. You should not rely on the information to make any decision or take any action. Here you can buy Genuine Lexus Parts, Accessories and Consumables for your Lexus. GREAT GIFT FOR YOU OR ANY TRD OWNERS. UNIVERSAL FITTING WITH VELCRO FASTENING. HERE WE HAVE ONE QUALITY SEAT BELT PADS MADE IN. THE PERFECT FINISHING TOUCH TO YOUR CAR INTERIOR. GIVES YOU EXTRA COMFORT AND ADDS. Lexus scuff plates add a stylish interior design feature while also protecting the door sill paintwork against scratching. Its brushed aluminium finish is highlighted by subtle logo illumination. No-one understands your Lexus better than us. SeatCoverWorld Specialists in Seat Covers SHEEPSKIN Faux Fur Car Seat Covers - 2 x Fronts ---Contains 2 x Front Seat Covers ---Made from Heavy Duty stretchable fur. ---Covers are elasticated to snugly fit over the seat. ---Covers the front and back of the seat. ---Machine washable ---Rest assured - these are not the cheap flimsy covers ---If you would like airbag or armrest provisions, please leave us an ebay or paypal message at time of purchase. BUY WITH CONFIDENCE Payment Shipping Returns PaymentShippingReturns Payment via Paypal. Should you wish to pay by any other method, please contact us. Seat covers are sent via courier companies and will arrive within 3-5 working days. We have a "no quibbles" return policy. If you are unhappy with the purhase in any way, you can return the item for a full refund. ANY FAULTY ITEM WILL NEED TO BE REPORTED TO US WITHIN 24HR AFTER RECEIVING. We do not cover any labour or garage fees or any other expenses caused if the item appears to be faulty. BEFORE BUY IT NOW. HKB Steering Wheel Boss Kits are made in Japan and are double drilled to be compatible with Nardi/Personal and Momo/Sparco/OMP steering wheels. Having trouble finding the right HKB Boss Kit for your Toyota or Lexus?. LEXUS IS200/IS300 Complete Interior. 2011 LEXUS IS200/IS300 which we are dismantling. Drive side RHD. Engine size cc. HS1-9, IV40-51, IV55-56, KA27, KW15-17, PA20, PA41-49, PA60-78, PH42-44, ZE1-3. AB30-38, AB44-56, FK17-99, G83, IV1-28, IV30-39, IV52-54, IV63, KW1-14, PA21-40, PH15-26, PH30-41, PH49-50. LEATHER COLOURING DYE VARNISH. High quality colouring varnish/dye having high seizing power. Ensure leather is fully clean before any colouring works has taken place, this will open the leather pores and help the leather dye adhere to it;. GREAT GIFT FOR YOU OR ANY TRD OWNERS. UNIVERSAL FITTING WITH VELCRO FASTENING. HERE WE HAVE TWO QUALITY SEAT BELT PADS MADE IN. THE PERFECT FINISHING TOUCH TO YOUR CAR INTERIOR. GIVES YOU EXTRA COMFORT AND ADDS. MAKE LEXUS GS. PAINT COLOR BLACK. PART REMOVED FROM. ITEM CONDITION. MILEAGE 58K. FITS LEXUS RX450h RX350 2010-2015. FITS LEXUS IS200 ALTEZZA 98-05. Black leather with red stitching. And what you will receive is only the leather part. Quick release steering wheel boss kit for the quick removal of an after-market steering wheel. Quick Release Steering Wheel Boss Kit. ALL LEXUS / ALTEZZA MODELS. After-market steering wheel is. Not suitable for OEM factory fitted steering wheels. 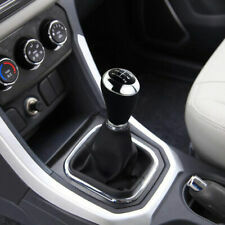 6 speed: Shifter. Material: Aluminium. FITS LEXUS IS200 IS220 2006-2012. And what you will receive is only the leather part. 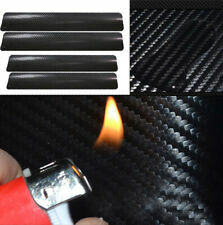 Seibon carbon fiberproducts are a high quality hand manufactured item. You will notice that almost all Seibon products are advertised as having just the one item available. Finished in what is commonly known as 'wet' carbon with a high quality clearcoat finish to give it that gloss look. 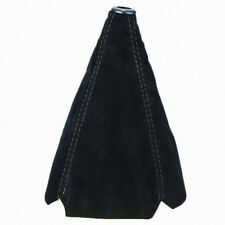 THIS COVER WILL FIT LEXUS GS 1st GENERATION [ S140 ]FROM 1993-1997. LEXUS GS MARK1 1993-1997. HANDCRAFTED WITH TOP GRAIN LEATHER. Motorcycle seat strap cover. MASSAGING BACK AND SEAT CUSHION. 12V WITH AC & DC ADAPTORS. SEAT VIBRATIONS SETTING WITH 3 SPEEDS. FITS TOYOTA LEXUS SOARER 1990-2000. And what you will receive is only the leather part.